The Battle Box in all its eye-catching glory. I go in looking for some craft supplies for my daughter, some Halloween decorations, or some overstock batteries that have about 25% of their charge left, and sometimes... just sometimes... I find something interesting. By which I mean weird. The other day (a term I use here to define a specific date I no longer recall), I was strolling past the toys, chuckling at the action figures that look a bit like Power Rangers while being just different enough to avoid a lawsuit, when I saw a small box with an eye-catching design. It had some half-decent fantasy art, and little cutaway sections revealing... revealing? It was a game with marbles. Battle Box contents. What a lot of balls. I quickly checked the date on my watch. I had driven to the store quite quickly that day, but I was absolutely certain I hadn't hit 88mph. Sure enough, the date was correct. A company called Duncan had actually made a new game using marbles. A new game that Duncan hilariously (and apparently seriously) called "revolutionary and original." A new game that Duncan hilariously (and apparently seriously) called a trading card game, even though it is quite clearly a game about marbles. A new game that Duncan hilariously (and apparently seriously) called Warball. Now, I don't know if Warball's name is supposed to sound like something certain birds do; but it does. Every time I say it, I feel like I am imitating an avian mating cry. It's just awkward. And my friends don't like it. 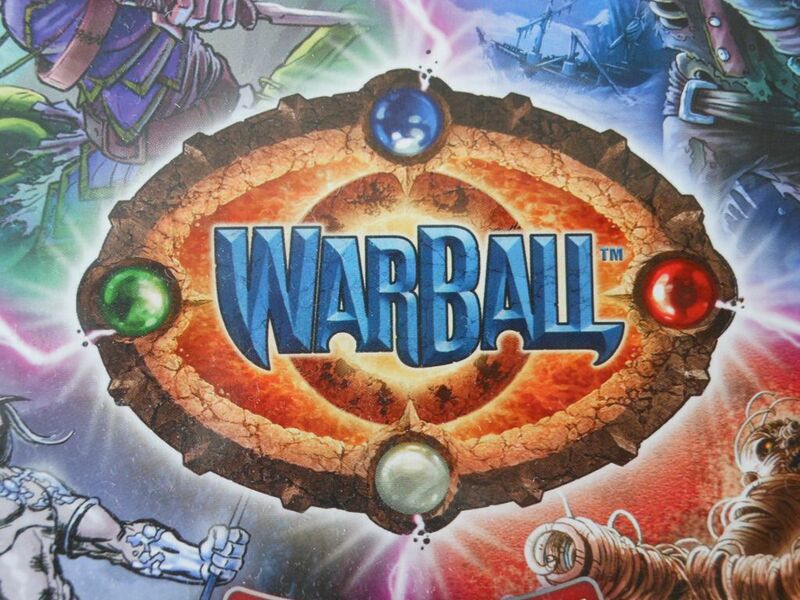 But I'll forgive the name, because Warball is quite an attractive game, and I'm quite shallow. The marbles... sorry, Warballs... are nicely made. 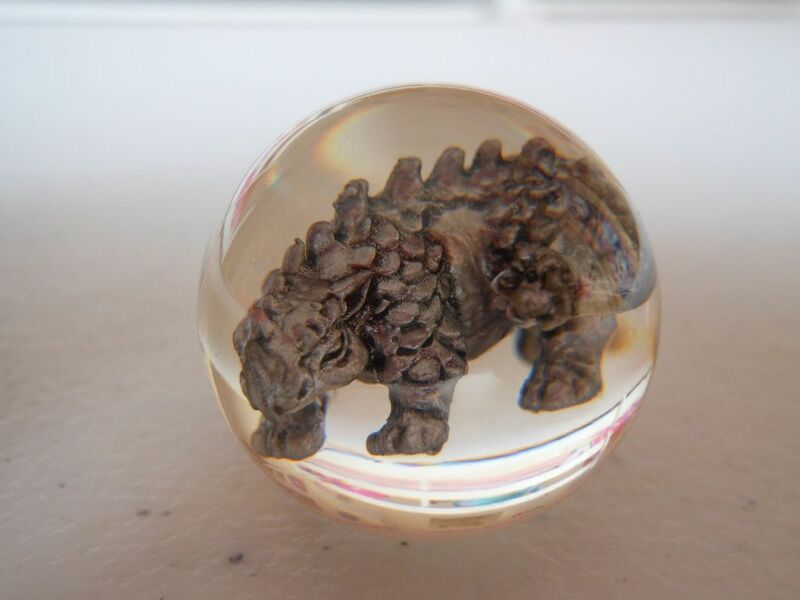 Some even have little monsters trapped inside them like mosquitos in amber, or dreams encapsulated in one of those crystals David Bowie loved pretending to wave around. 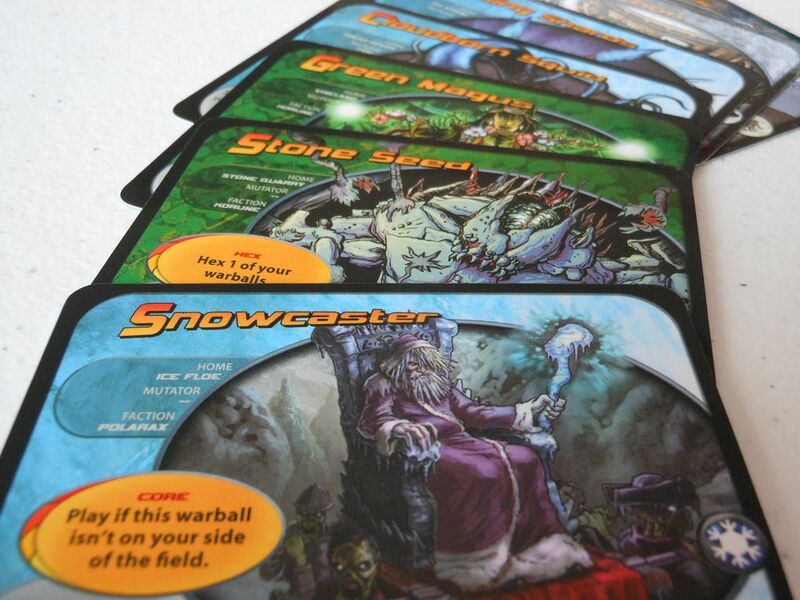 These Warballs work in conjunction with a set of cards that have some pretty interesting artwork on them (this is supposed to be a trading card game, after all). The problem is, the cards have a thick glaze that has a tendency to chip on the edges. Futhermore, when the cards are brand new, they really stick together, making shuffling a bit of a bear. Still, the whole package is quite appealing, and there is a cool drawstring bag included for storing your Warballs, which is a nice touch. However, despite the good-looking components, and despite the wedge of 60 illustrated cards, and despite the range ruler, this is quite obviously a game of marbles. I mean, Duncan has dressed it up as a trading card game, suggesting that players need to collect different cards to build power decks that allow them to manipulate each battle and maximise the usefulness of the available Warballs. But you can't fool me. At the start of the game, players line up their Core Warballs across the centre of an arena, keeping aside any of their larger Master or Savage Warballs, then they shuffle a deck of cards built around the Warballs they have brought to the battle. 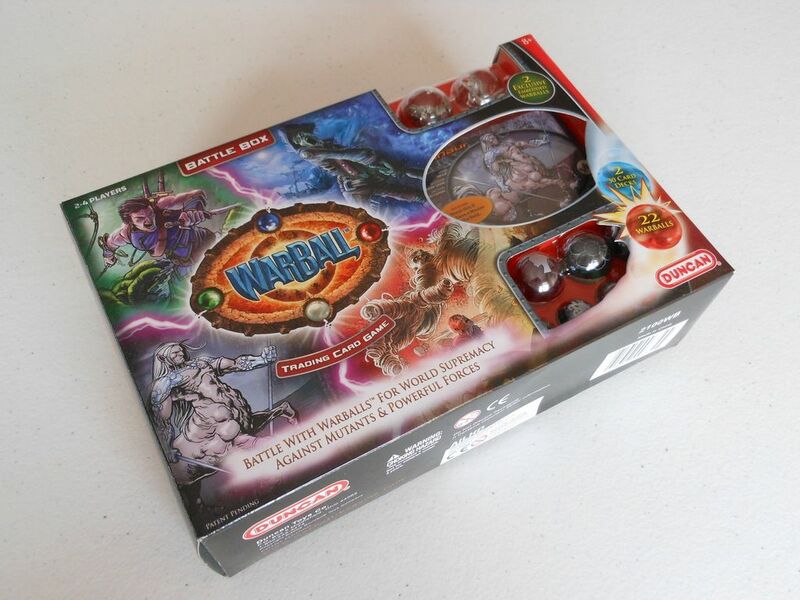 If you are playing with the contents of the Battle Box starter set, like I was, you don't get any choice in the Warballs and cards you have available; but it is possible to buy expansion packs containing more cards and Warballs, allowing for the possibility of custom decks. On a turn, you draw four cards, and then you use any that you can to activate Warballs. 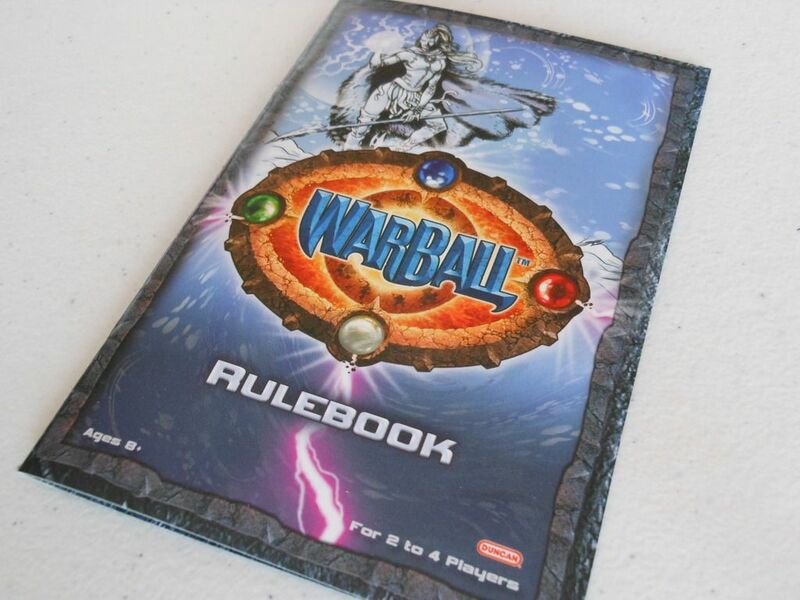 To use a card to activate a Warball, it has to match the Warball design, and you have to check any special requirements. For example, you can only play cards that activate Savage Warballs if you have at least one of your Master Warballs on the battlefield. 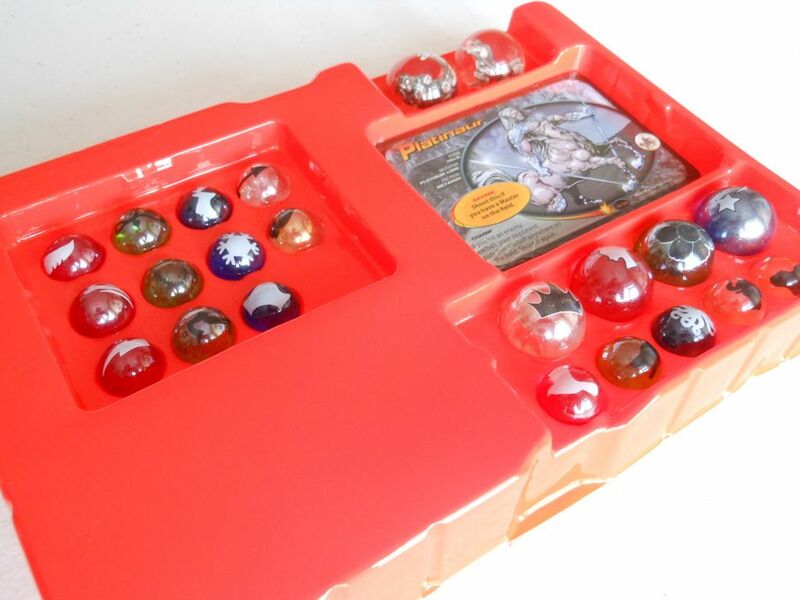 You flick your marble to knock your opponent's marbles, and you win by knocking all of your opponent's marbles out of play. Instructions on how to shoot marbles. Seriously? They have added a few gimmicks, of course. This is a "revolutionary" game, after all. 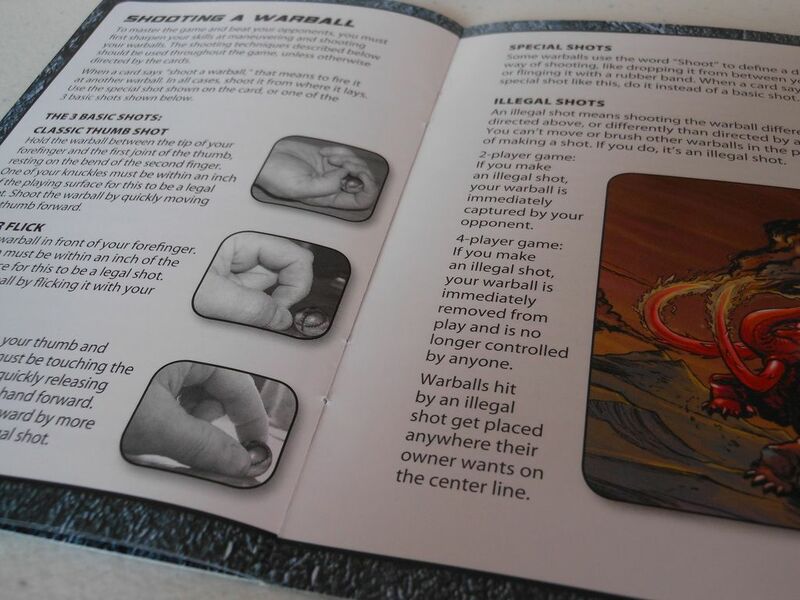 Some cards only allow you to activate a Warball with a trick shot, like using your feet or the edge of the range ruler; and your opponent can take control of your Savage Warballs if you don't have a Master in play to keep them under control. Oh, and some cards don't activate a Warball, and instead "hex" an opponent's Warball. Being hexed is bad, not least because you have to fiddle around trying to slide the hex card under the Warball without displacing any of the Warballs in play, which is something of a dexterity game within a dexterity game. But for all the gimmicks, this is just marbles. 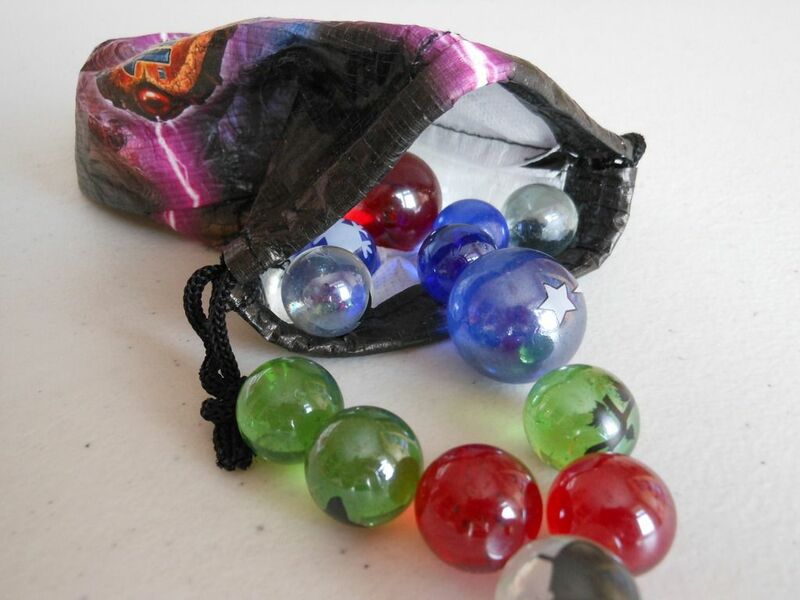 Fortunately, marbles is a really cool dexterity game. I grew up playing marbles over manhole covers, and had countless hours of fun. And yes, Warballs is fun too. Best of all, one Battle Box (which, let us not forget, I bought for £1) contains enough content for two people to play, without having to worry about deck-building. It isn't revolutionary. It isn't original. It isn't even a trading card game. It isn't anything Duncan said it is. For £1, I can't really ask for more than that, can I? *"Buy better games" seems like the obvious answer.